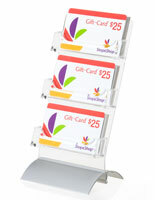 These 3-pocket countertop card stands have a high quality design at an affordable price. 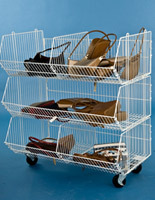 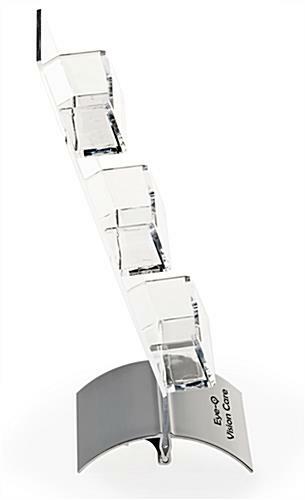 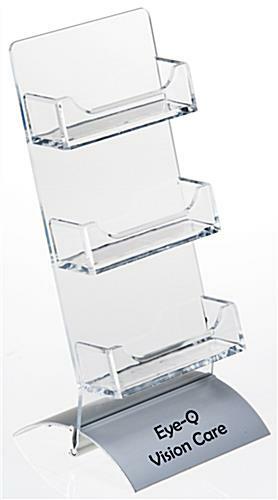 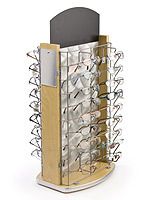 Each holder is made of durable acrylic with a silver aluminum base. 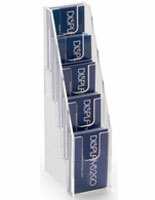 The countertop card stands' support come with 1-color custom vinyl printing for logos and branding information. 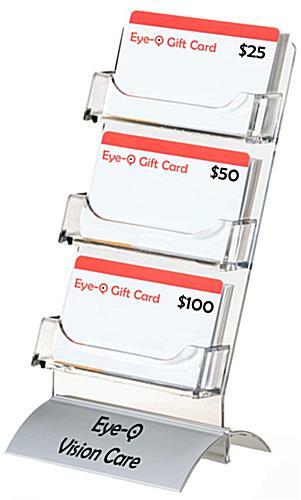 The acrylic and aluminum displays feature 3.6" wide compartments for fitting standard contact information and gift certificates. 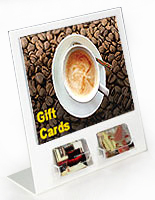 With the card stands' custom vinyl printing, companies will be able to advertise to passersby both in stores and at trade shows. 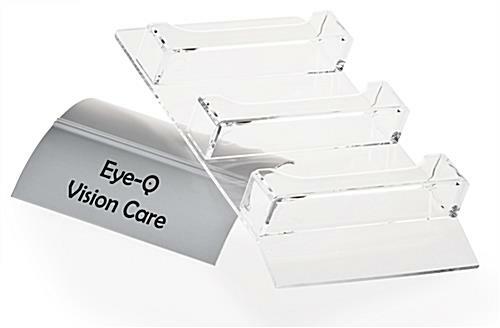 The high quality holders have a slant back design that measures 8.4" tall.